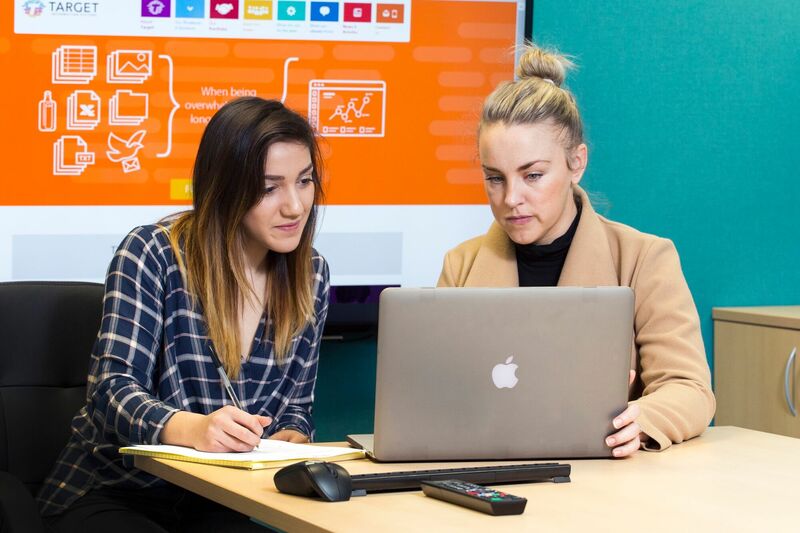 A Barnsley software company which increased turnover by 40 per cent last year has launched a fresh campaign to attract new clients following investment in staff development. Target Information Systems, which is supported through the Enterprising Barnsley business support programme, secured a £3,600 training grant from Leeds City Region Enterprise Partnership (LEP). Target’s marketing manager Olivia Davies has received bespoke, one-to-one training and advice through the LEP’s Skills Service. She has worked with the LEP’s specialist coaches, Fresh Marketing Solutions, to enhance Target’s marketing and sales efforts and establish best practices for attracting, engaging and closing deals with more new clients. Olivia has now put her skills into practice by stepping up online, social media and PR activity and, through a recent direct marketing campaign, has secured the company’s first client in Ireland, a target market for the data specialists. Target design and supply specialist UK-developed software management systems to companies such as Coca-Cola European Partners, Kier Group and The British Library. Their bespoke systems enable customers to manage complex databases more efficiently. They also work with several NHS Trusts, Decathlon’s chain of UK stores and global developer 2K Games. Managing director of Target Phil Atkinson said: “We are committed to continuous professional development at Target and are keen to nurture the talent in our team, not only to benefit company growth but also to provide valuable skills for our employees to progress their careers. Businesses in Barnsley and across Leeds City Region are benefitting from over £2 million worth of training grants through the Leeds City Region Enterprise Partnership. The funding has supported the training of over 600 businesses, enabling them to invest in the development of their workforce. The skills service can support up to 50 per cent of training costs for eligible businesses throughout the Leeds City Region through grants of between £500 and £50,000. Mark Ridgway, LEP board member and chair of the skills service management board, said: “We’re delighted that we could provide Target Information Systems with the funding that the business needs. As a business owner with 10 per cent of our employees in apprenticeship schemes, I’m especially pleased we were able to help them support young talent in order to grow their business. Enterprising Barnsley, the economic development arm of Barnsley Council, provides specialist support to businesses with growth potential. It helped Target access the LEP support and continues to work with the company to support business and workforce developments and future jobs creation. Enterprising Barnsley’s HR business consultant Judy Sidebottom said: “Target has really grasped this opportunity to invest in a key member of its team in order to help achieve the company’s ambitions for growth. Target is based at Barnsley Business and Innovation Centre in the Wilthorpe area of Barnsley. It was set up in 2010 by Phil with co-director Daryl Greensill and has grown year-on-year achieving a 40 per cent increase in turnover last year. It currently employs ten people. Skills Service funding is available for a limited time. To find out if your business is eligible and to apply, please visit: www.the-lep.com/skillsservice or contact them on 0113 386 1910 and skills@the-lep.com. Photograph shows Target’s Olivia Davies with LEP skills advisor Kirsty Sisson. Enterprising Barnsley, part of Barnsley Council, assists companies with relocation; business development; access to finance; business start-up and more. Its award-winning team provides a practical link between business owners and a range of resources and support available in Barnsley. It can help businesses access specialist coaching. It funds and delivers business events and workshops. EB’s aim is to help Barnsley businesses develop and expand; generating economic growth and creating jobs.